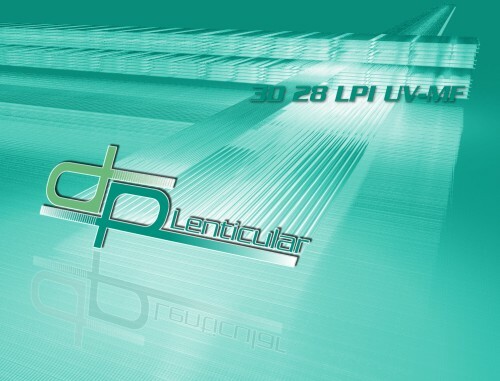 Since more than 15 years, DP Lenticular is supplying the printing market as well as artists with the best lenticular sheets. 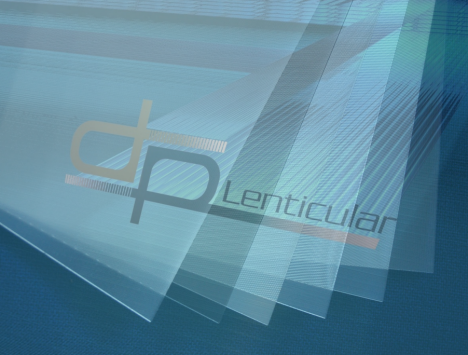 Our lenticular plastic sheets are extruded using LENSTAR®Plus and PETG/UV resin. The market has been asking for an environmentally transparent product that combines our usual high quality with sustainability. 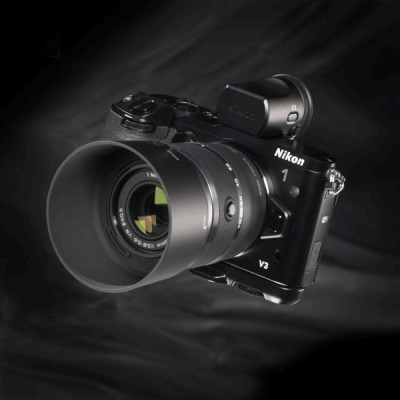 In response, we are happy to announce the launch of the 75 LPI Lenstar ‘Lite’ ECO. The product is already available now. We are producing large format sheets in Europe for inkjet digital printing, using PETG/UV resin, allowing indoor and outdoor use. We also propose MicroFlex™ rolls produced in PP (Polypro) for label printing. Browse our site to find out what lenticular plastic sheets and rolls we have available for you, in Europe, and MEA. We are warehousing in Dublin (Ireland), Antwerp (Belgium), Barcelona (Spain) and Dubai (UAE). We deliver in the best timing wherever you are based. Besides full pallets, you can order small quantities from our web shop ! We have the lenticular solution for your needs, from a post stamp to a bus shelter ! How long will you look at this lenticular image? Much more… up to 30 seconds ! If you understand this, you understand the secret of lenticular printing and you’ll know how to increase tremendously the effectiveness of your next advertising campaign! Click here to see dozens of samples showing how lenticular printing is bringing success to great marketing ideas. The first autostereoscopic image appeared in Europe in the 17th century (Gaspar Antoine de Bois-Clair). After a great deal of evolution, we can say that lenticular imaging was discovered around 1940 by Maurice Bonnet. You will find an interesting article on “Lenticular History” on LenticularTechnology.com. Lenticular is an auto stereoscopic solution – it allows the viewing of a 3D (depth) image without the need for special 3D glasses. It is based on a technology in which a lenticular sheet is used to separate the left and right eye images, creating the perception of depth in printed images without special glasses. This lenticular effect is activated by moving the image and viewing it from different angles. 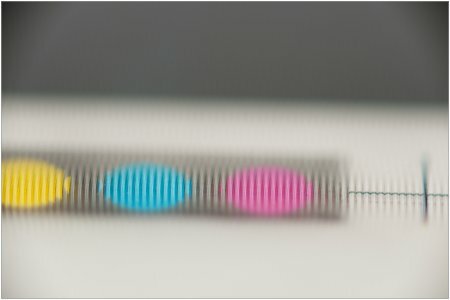 A lenticular sheet is in fact an array of lenses that act like tiny looking glasses. Lenticular prints are made from at least two images, combined (usually called “interlaced”) into a lenticular image. This lenticular process is used to create various frames of animation or to show a set of images that appear to flow into each other. The lenticular interlacing technique used to create these images is now readily available in lenticular software. 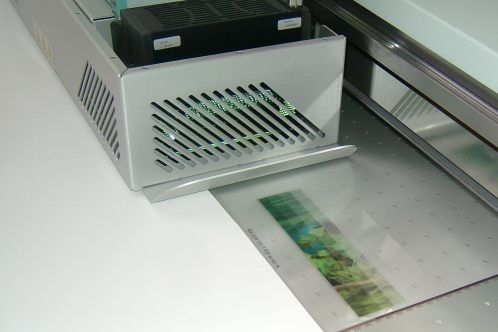 The most widespread technique for printing on lenticular plastic sheets is lithographic – offset printing. Offset presses are capable of adjusting the printed image with very high precision and high resolution, guaranteeing good quality results. The recent technical developments in small format digital printing as with large format and flatbed digital printing have led to tremendous quality improvements. Consequently, this attractive technology is now capable of achieving great large format lenticular prints but in small quantities. During the last 25 years, lenticular marketing became more and more important, in Europe, USA and the rest of the world. Next to lenticular playing cards or business cards, lenticular rulers and lenticular postcards, also lenticular posters, lenticular billboards or lenticular covers are being used now. Lenticular magazine and book covers are being used along with lenticular DVD and Blu-ray packaging and posters promoting the great new developments in 3D movies and TV. The resolution improvements in flexographic printing are now also bringing possibilities to produce attractive lenticular labels. More pragmatic uses include lenticular conversion cards, promotion cards and attractive lenticular packaging. Lenticular lenses are delivered as lenticular plastic sheets or lenticular plastic rolls which come in many sizes and different gauges. Besides the printing market, we are supplying more and more high quality lenticular plastic to the lighting industry.